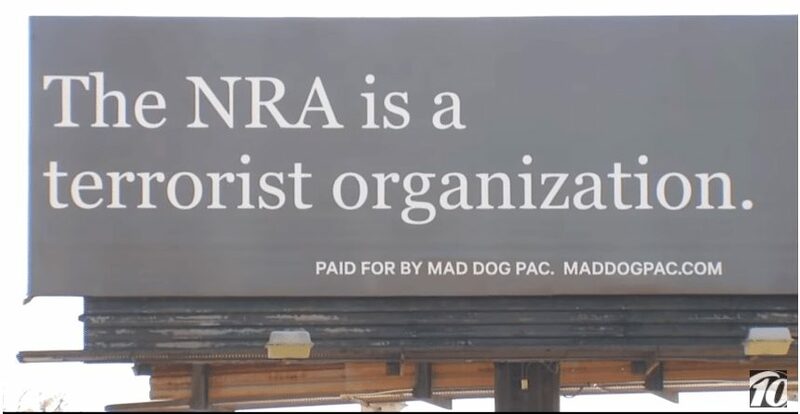 First it was a Kentucky billboard that challenged people to “Kill the NRA” and now there is a billboard in Florida that brands the National Rifle Association as a “terrorist organization,” and it was reportedly financed by a former staffer in the Bill Clinton White House, according to Fox News. The billboard, which appeared in Pensacola, appeared about two weeks after the tragic Feb. 14 attack on the Marjory Stoneman Douglas High School in Parkland. Seventeen students and adults were killed in that attack, which anti-gunners quickly exploited to attack the NRA and, by default, American gun owners and other gun rights organizations. But revelations in the wake of that attack have shown that local and federal law enforcement agencies were aware of the suspect and had received tips about some of his bizarre social media statements. Yet, they did not take any action. Taylor reportedly told a local news agency that he plans to finance three more terror billboards, one in Oklahoma and two more in neighboring Texas. The NRA will hold its annual convention in Dallas in early May. If Taylor was in the Clinton White House, he should know that the NRA was instrumental in passing the legislation that created the National Instant Check System, operated by the FBI. That system does the background checks for retail gun buyers all over the country.